Ruby has spent the last six years of her life in a rehabilitation camp, a brutal place she's only survived by hiding her dangerous powers. But when the cruel camp leaders begin to suspect her, she must escape. Now on the run, she is desperately seeking people like her and winds up with some unexpected allies. Will they find the safe haven or will she be forced to make a desperate choice? I am quite conflicted on this book. I really wanted to like it and I certainly enjoyed parts of it (the ending definitely kept me engaged, couldn't put it down), but I felt unsatisfied while reading it. First, I loved the premise, even though it seems to be a common one - natural disaster/disease/event happens to change kids of a certain age. (I'm thinking Gone, Ashes, etc). Still, I was caught up in it right from the start - I mean, they send the kids to concentration camps, essentially, and try to rehabilitate them of their abilities. Ruby was a very confused (and confusing) protagonist, but I was invested in her story. The many different factions and groups with various agendas and ulterior motives was intense and exciting and kept me wondering just what would happen next. There is a lot of action, not surprising because Ruby is on the run from about 5 different groups and they all converge and escape a lot. It was exciting and the abilities of the kids were interesting and I wanted to know more about how they worked and why it happened. Unfortunately, I never felt like I did. First, I just want to say that I think a big part of the problem with my reading was that this was an ARC and it was still very much a work in progress, with loads of editing still necessary. There were confusing little things here and there, lots of missing or incorrect words, etc. All things one would expect of an ARC. My bigger problem was that I never felt like I got a handle on the world - I never felt like I understood what was going on, especially when it came to Ruby. Her power, which I can't even describe accurately, was a huge mystery to me, from beginning to end. I kept waiting for her to figure it out and tell us, but it never happened. One minute, she'd be jerking back from Liam, to prevent his touching her and the next, she'd be holding Zu's hand and not worrying at all. I was completely confused. I think I'll give the book a try when it's published, because it really felt like the story was not entirely finished, like there were important little things still needing to be figured out and passages still to be written or deleted (definitely think it could have been shorter). It felt like not a fully-formed book, but an interesting premise waiting for the rest to be filled out. I hope it is. Overall rating: ** with potential for more! Have you ever felt like this about an ARC? Did you read the published version? I nearly peed my pants when I saw Ms. Peterfreund's announcement for this 2013 novel. Not only is it another retelling (and you know how I love those), but it's a Scarlet Pimpernel retelling! I have some serious love for that book/movie/story/play. And it's futuristic, in the same world as For Darkness Shows the Stars. This book has all the makings of something I will adore. Yeah! I'm dying to know more about Day and June and what happens next. I'm expecting this book to be a total rush from beginning to end. And just to make you all jealous, I happen to have an ARC so I won't be waiting until next year to pick it up (I hope). Seriously, this one has been making me jittery with anticipation since I heard Nix was working on a new book. I devoured the Abhorsen trilogy and assumed it would stay a trilogy. I'm pleased as punch to be wrong. Yeah! More Jenna Fox and the thought-provoking medical ethics that make Pearson's Jenna Fox Chronicles so compelling. The ending of Everneath left me seriously dying to know what happens next. Nikki can't leave me hanging like that and I need to have more. Kiersten White wrote this book in nine days or something. I think I need to read it. Plus, it sounds so crazy and I adore Kiersten for so many reasons (really, read her blog and you'll understand). You knew there would be another retelling on here, right? I thought Cinder was an awesome retelling of Cinderella and I can't wait to see where this next book, the Red Riding Hood story goes. 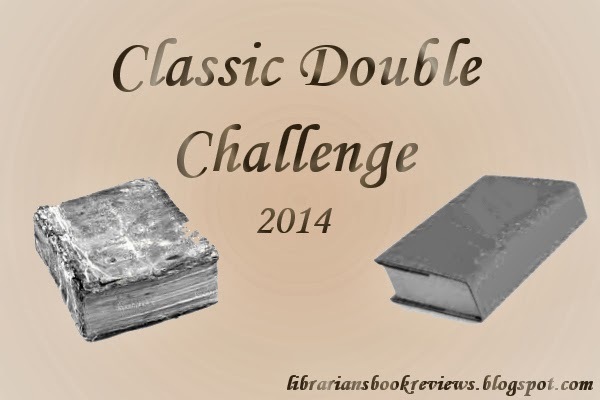 What do you want to read from 2013? It's been a long time in coming and since I took an unexpected break last week (hope all you US folks enjoyed your Thanksgiving holiday, I certainly did) it took even longer. 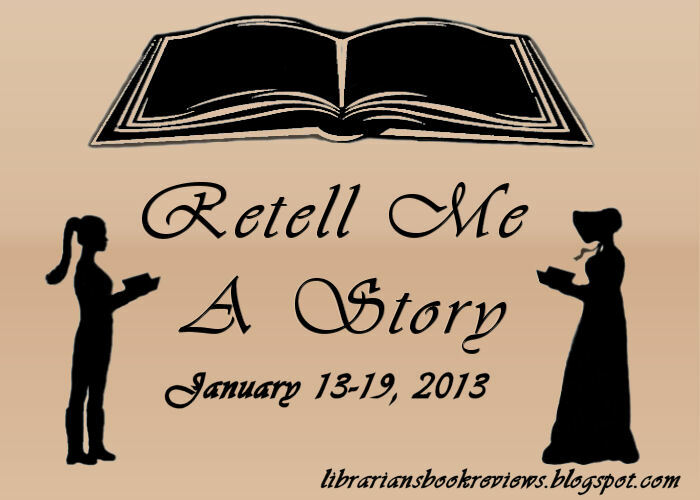 However, I'm super excited to announce my retelling celebration, Retell Me a Story! 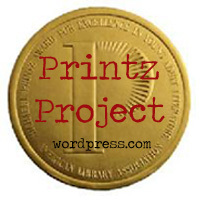 This exciting celebration will occur on January 13-19, 2013 and will consist of author and blogger guest posts, reviews, retelling news and discussions, and giveaways! 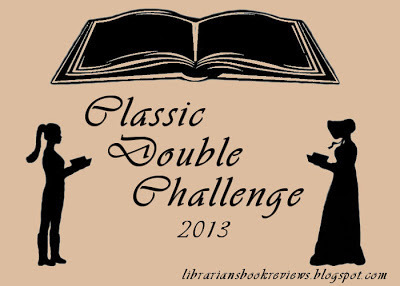 I'm so excited to be finally getting a week-long celebration of retellings going, because ever since I started my Classic Double Challenge, I've been wanting to do more to bring attention to all kinds of retellings. So, this first post is just to get the word out, to get you excited about the celebration. If you have ideas for some way you'd like to celebrate, feel free to leave me comments or email me. If you're an author of a retelling (fairy tale, classic, mythology, etc) or blogger interested in posting during that week, email me at librariansbook(at)gmail(dot)com. Feel free to spread the word and use the button I've created. And hopefully you'll all prepare to celebrate breathing new life into old stories! 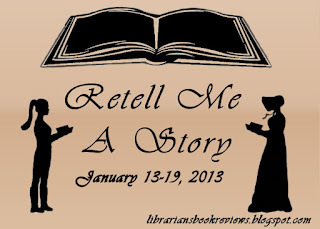 What are you looking forward to most during the Retell Me a Story celebration? Friends! I can't believe how dreadfully I've been keeping up with my blog. I have lots of reviews I can post, but I get kind of tired of always posting reviews and nothing else (as I'm sure you do too). But, you see, there's this thing that happened called Life. Normally, I don't have much of one, but for some reason, things have gotten out of hand crazy! My work has been super demanding the last few weeks and I'm generally exhausted by the time I get home (and really tired of looking at computer screens), so I just go home and crash, stealing a bit of reading time. I have no desire to hop on the computer and use my brain to write anything. Thus, you are seeing a few reviews and nothing else. Alas, I think this pattern will continue to hold for the next few months. Perhaps there will come a time when instead of crashing at the end of the day, I have a need to talk about books. We'll see. But, in the mean time, I guess this is just your friendly neighborhood note to expect more of the same for a while. Sorry if this makes you not want to stop by anymore, I hope some of you still will. As I said, I've got plenty of reviews to post, so there will be that. Also, I'm really looking forward to my Retelling event in January, which you WILL hear more about soon. And now that I'm at the end of this post, I'm realizing just how little was actually said in it. Oh well. Thanks for reading! Liyana has known she would be a vessel for her goddess for many years. She has prepared for and known she will die to help her clan. But when her goddess doesn't come, her clan leaves her to die. Instead, she is found by Korbyn, a god who found his vessel, and they embark on a journey to find the gods and goddesses who didn't come to their vessels. Will they be able to find them and if they do, will Liyana want to make way for her goddess? I was immediately sucked into this delightful fantasy. The setting (for some reason, deserts cultures are always so fascinating to me) felt so real. I loved Liyana and the struggles internally and externally she faced. I also really liked seeing the idea of the vessels from different perspectives - not everyone was eager to give up their lives, while some wanted to die for the good of their people. Korbyn was really fascinating too and so much fun - I have a soft spot for the trickster gods. I loved the glass serpents and the sand wolves and so many other magical details that just added to the complexity of the fantasy world. A great read with plenty of action and intrigue. All those beautiful little details like the bells and the description of her dress and the love of the desert made this one come to life for me. What disappointed me most was the romance near the end. It seemed almost to come out of nowhere and have no true basis. I liked the slow burn for the romance during most of the book, but then something suddenly popped up and threw that off for me. I was disappointed by that. But, since much of the book is not about romance, I was still able to enjoy it. The ending was rather surprising in good ways too. Overall, I really enjoyed this fantasy; felt like a classic at times. What makes a great fantasy world seem real to you? Ivan was the star of the show at the Big Top Mall for years, until one day he's not anymore. He's been in his home of glass walls for long enough that he doesn't even mind or miss his home in the jungle. He's got his friends, Bob the dog and Stella the elephant. But when a new baby elephant comes to their home, Ivan begins to see things in a new light. What a bitter sweet little book this is! I loved the story of Ivan and yet it made me cry. He had so much going for him and yet he was stuck in a dreadful place. I absolutely fell in love with him and Stella and Ruby and even some of the human characters. I was very happy that none of the "villains" was painted in a way that they were 100% evil. I think it shows very nicely how people sometimes don't think clearly and that is how they end up doing horrible things without meaning to. I just loved how hopeful the ending was, though we had to experience all the sorrow to get there. A beautiful story made even more beautiful by its basis in reality. Hm, not much I can think of that I didn't like. Just simple and sweet (and sad). A great read for animal-loving tweens and younger. Guys! There are only two months left! What was I thinking, saying I'd do four pairs?!? I've got to get on the ball - it would be embarrassing to fail my own challenge. But, how are things going for all of you? Not going to make it? 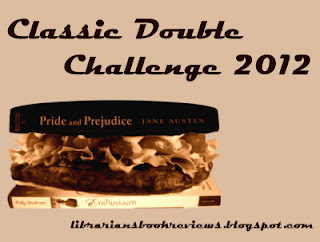 That's ok, because the Classic Double Challenge is coming back again next year. And I've got an excellent week-long celebration in the works for January. 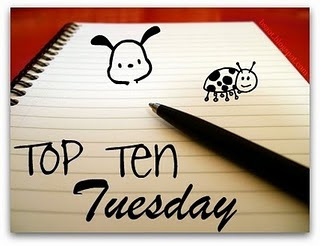 It will be so much fun with author and blogger guest posts and some giveaways. But, don't give up on 2012 yet! You can still do it. Remember to leave your links for this month if you review/talk about your book pairs. The winner for this month is Akilah! I'll send you an email soon and then get a prize sent out to you ASAP. Do you think you'll finish the challenge this year? How likely are you to participate next year? The mermaid Syrenka gives up her former life to be with Ezra, the man she fell in love with. But her transition to land life is anything but easy and leads to many unintended consequences. Over a hundred years later, Hester meets Ezra and is drawn to love him. But her family has been cursed in love for many generations, and she's determined never to love. Will she find a way to break this curse or be doomed to repeat the same pattern? I had a chance to listen to Elizabeth Fama at the Fierce Reads tour in September and I think that helped me enjoy this book more than I would have otherwise. I really liked that it was not your typical paranormal romance. It was super creepy and very violent and utterly disturbing. But it also had the romance (insta-love with a sort-of explanation). I loved the historical details and the creepy mermaids and lots of other details here and there. The family history was also something I enjoyed seeing in a YA story. The writing is really very good too, with obvious historical research well done. And I got to listen to this one on audio and was pleasantly surprised to discover it was narrated by one of my favorites - Katherine Kellgren. She does a wonderful job with the voices - Pastor McKee and Noo'kas particularly. I also liked the interview she does with Elizabeth at the end - partly because we get to learn a bit more about how Kellgren does research on her audios. Good stuff. I'm not entirely sure what kept me from loving this. I think I kept being reminded of Holes (which, the author said inspired her outlining and setup) and how good that book was at intertwining the historical timelines. This one, not so much for me. I figured things out WAY before our main character (which, ok, she wasn't around back then, but some things felt contrived to keep her in the dark, especially the inscription E.A. Doyle - who uses abbreviations on their headstone?). Then after I figured it out, it kept being dragged on and on. The insta-love was unfortunate, if kind of explained. And the ending was just a shade too strange for me. The trip Hester makes at the end was just so out of place, I thought, that I kind of lost interest. I think it bordered on the completely unbelievable, which made the previously firmly grounded setting rather harder to buy. It's different and very dark, but just not for me. What books have you been disappointed in lately?